QUOTING executives from Maxis Communications Bhd and Astro All Asia Networks Ltd, which the billionaire owns, the report said Ananda and his corporate entities have apparently “fallen on the wrong side” of India's politics. Modi became India’s prime minister in May this year following the country’s general election. 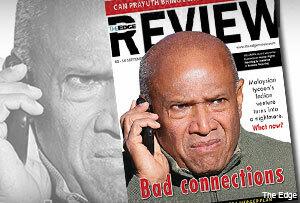 The report “Ananda’s Indian nightmare” appears in this week’s edition of The Edge Review. Ananda Krishnan, along with an Indian former minister and his media mogul brother, were charged late last month with corruption to help Malaysia's Maxis group take control of Aircel Limited in 2006. The former minister is South Indian politician Dayanidhi Maran, who was India's telecommunications minister between 2004 and 2007. He and his billionaire brother Kalanidhi Maran were named together with Ananda Krishnan and his aide, Ralph Marshall, in the charge sheet. A special court in India that deals with corruption allegations in the country’s telecommunications sector is to rule later this month whether government investigators have a case against the four men. The charge alleges that Dayanidhi, as the former minister of communications & information technology in India, had abused his official position and “forced” Indian entrepreneur C. Sivasankaran to sell his company Aircel Limited to Ananda Krishnan. Dayanidhi in return allegedly received a “bribe” through an “inflated investment” paid by another Ananda entity in a company owned by his brother, Kalanidhi. The charge added that Astro All Asia Networks Plc (AAAN) had paid illegal gratifications to Sun Direct TV Pvt Ltd and South Asia FM Limited, in the way of a share purchase in the two companies at a premium. In October 2011, Sivasankaran initiated a formal investigation against the Maran brothers and Ananda. The public-listed Maxis Communications Bhd and AAAN have categorically denied all allegations of wrongdoing. They claimed the charges were flawed and without legal basis, that there was contradictory evidence, and that prosecution had begun before investigations were complete. They also noted that the Malaysian companies cited in the charge sheet were separate corporations that operated independently. The tycoon’s lawyers, over the last three years, have worked to prove to the Indian authorities that the Aircel deal was a “willing buyer and willing seller” transaction, The Edge Review cited a Maxis executive as saying. The Edge Review also cited Maxis and Astro executives saying this was Ananda's “battle against India's powerful bureaucracy”. The companies' officials said Indian investigators failed to conduct a thorough probe before framing the charge. This failure included not obtaining more information from Malaysia. The 76-year-old Ananda, associates told The Edge Review, has long recognised the huge potential in India’s market and entered the country about 10 years ago. “This whole mess is a case of dealing with a wrong person from the start, and a series of unconnected events which got us caught up in the country’s politics,” one senior Malaysian financial executive, said to be deeply involved in the tycoon's ventures in India, was quoted as saying. It was also reported that Ananda and his associates intend to fight against any attempt to extradite them. They are currently appealing to the government for assurances that Putrajaya will refuse any request for extradition. "Financial executives close to the situation say that lawyers representing the tycoon have already made representations to the Malaysian government, including Home Minister Datuk Seri Ahmad Zahid Hamidi, highlighting the alleged political nature of the case against Ananda Krishnan and Marshall," the report said. For the time being, it said, Ananda and his companies were safe as they were likely to have the support of Prime Minister Datuk Seri Najib Razak and his administration. Malaysian state-owned entities have investments in the tycoon’s companies. This story first appeared in The Edge Review edition of Sept 12-18, 2014.